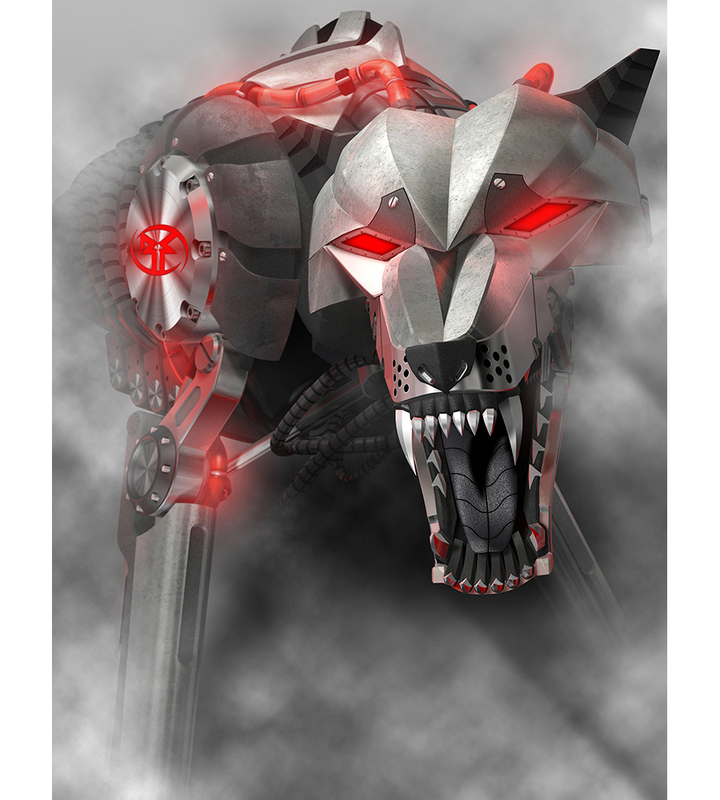 This character was created as an update to the mechanical wolf I had created for them previously. He graced the cover of the Rockford Fosgate product catalog and other marketing materials. Another view of the mechanical wolf. 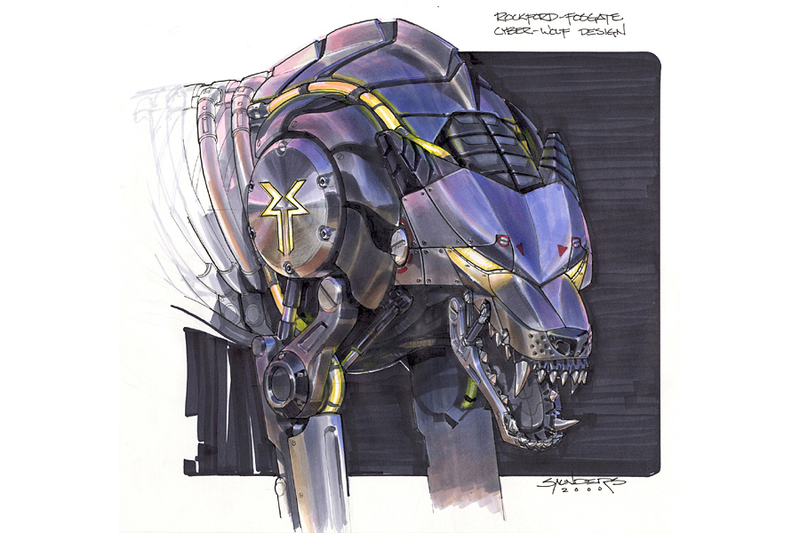 Without the amazing concept art of of Phil Saunders this character would have never seen the light.